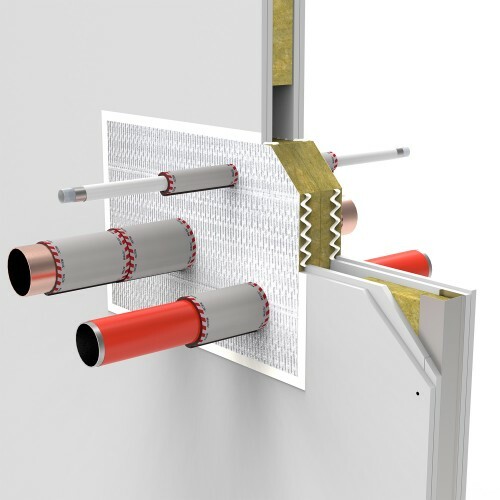 Multitherm Bandage is a self-adhesive thermal insulation product on a roll, especially developed for the thermal and ﬁre-resistant insulation of, for instance, metal pipes at short distances from the ﬁre-resistant partition. 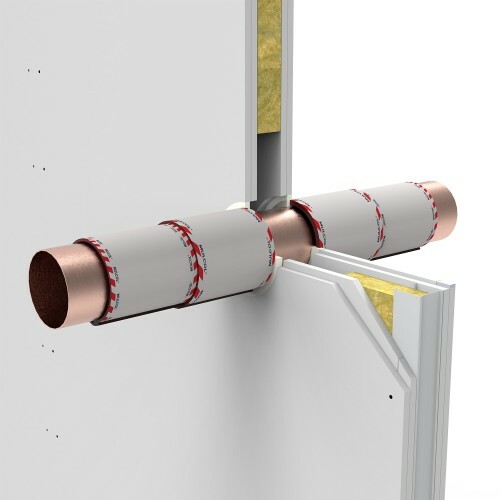 Multitherm Bandage absorbs the temperature of the pipe, so that no temperature to adjacent rooms can take place. 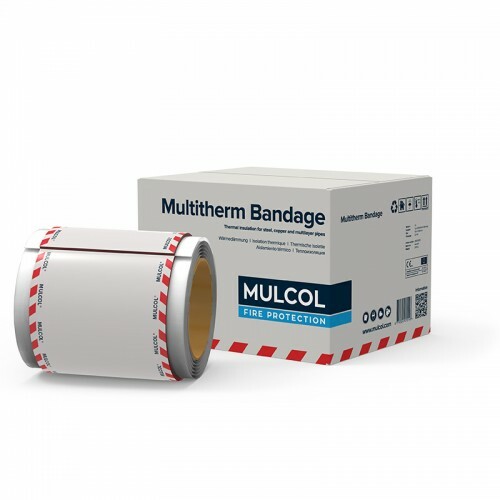 Multitherm Bandage forms part of the Mulcol® Penetration Seal System.